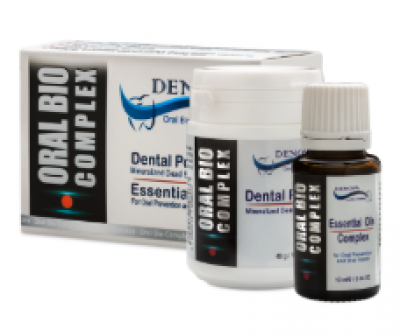 Its recommended to apply every day during meals 1 capsule in the morning and 1 capsule in the evening. For best effect in the first week, it is recommended to take 2 capsules in the evening. We present a unique, in its algorithm of action, the formula B- CURCUMIN from DENOVA GREEN (ISRAEL). This formula is modified based on the latest research of 2016. Food additive B – CURCUMIN has the state Kashrut of Israel, special permission of the supreme rabbinate court BADAC, GMP, ISO, VEGAN, NO GLUTENE. Turmeric is also called “Indian saffron”, although it is not actually saffron, but belongs to the ginger family. It grows mainly in South Asia. You can also meet her English name “turmeric” (Turmeric). In a number of studies, the benefits of turmeric to the human body and its brain have been identified. It slows down aging and helps to soften the course of a number of diseases. Rather, it is not so much herself, as the substance curcumin contained in her. On the pages of the Authority Nutrition resource, Chris Gunnars, ten useful qualities of turmeric were collected, which were confirmed during the research. Turmeric is a spice that gives curry and pilau a yellowish shade. For millennia, it is used in India not only as a seasoning, but also as a medicinal plant. Medicinal properties of turmeric is confirmed by modern science. Turmeric contains compounds called curcuminoids. The most important of them is curcumin. It is the main active ingredient of turmeric, possessing anti-inflammatory properties and being a very strong antioxidant. There is not much curcumin in turmeric. Only 3% of her weight. In most studies, an extract of turmeric was used, consisting mainly of curcumin itself. The dosage was above one gram per day. Such consumption of curcumin can not be achieved using turmeric as a seasoning for food. Therefore, to achieve the full effect, it is necessary to use an extract of turmeric, in which curcumin is contained in significant amounts. Unfortunately, curcumin is poorly absorbed by blood. This can be corrected by using also black pepper, which contains piperine, a natural substance that enhances the ability to absorb curcumin by 2000%. Anti-inflammatory properties help the body fight the pathogens of diseases and reduce the damage they cause to health. If the anti-inflammatory properties do not work, pathogens such as bacteria can easily enter the body and cause harm to the health. Inflammation can be short-term and long-term (chronic). It is now believed that chronic mild inflammation plays a key role in virtually every of the common chronic diseases in the West. These diseases include heart disease, metabolic syndrome, Alzheimer’s disease and degenerative diseases. 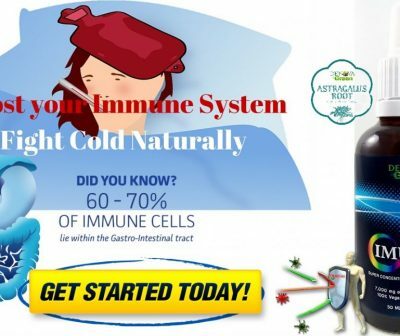 For this reason, it is very important to fight chronic inflammation, since various diseases can be prevented in this way. Therefore, those drugs that help fight chronic inflammation, contribute to the prevention and even treatment of diseases. Curcumin possesses strong anti-inflammatory qualities. 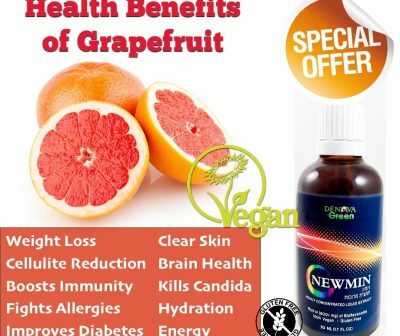 It is so effective that it is more powerful than even some anti-inflammatory drugs. Curcumin fights inflammation at the molecular level. It blocks NF-kB, a molecule penetrating into the nuclei of cells, associated with inflammatory processes at the genetic level. It is believed that the NF-kB molecule plays a major role in most chronic diseases. If we do not go into details, we can say that curcumin is a bioactive substance capable of combating inflammation at a molecular level. Oxidative process is considered one of the mechanisms leading to aging and many diseases. It involves free radicals, molecules with unpaired electrons, which have a high ability to react. Free radicals tend to react with important organic substances, including fatty acids, proteins and DNA. Antioxidants play an important role, protecting the body from free radicals. Curcumin is a powerful antioxidant that can neutralize free radicals. In addition, curcumin also increases the activity of its own antioxidant enzymes of the body. Thus, he struggles with free radicals in two ways. First, by directly blocking them. And secondly, by stimulating the body’s own antioxidant mechanisms. It was believed that neurons are able to share only in early childhood. Then this ability is lost. But it turned out that even in the adult age of man they retain the ability to divide. Neurons can form new compounds, and in certain areas of the brain their number can also increase. One of the main factors of this process is the neurotrophic (neurotropic) factor of the brain, which is one of the types of growth hormones that function in the brain. The most common disorders in the brain are associated with a decrease in the level of this hormone. These disorders include depression and Alzheimer’s disease. Curcumin may increase the level of the neurotropic factor of the brain. Thus, it postpones or even reverses the course of some brain disorders and age-related changes. It is possible that curcumin also helps to improve memory and make a person smarter. However, this information still needs confirmation. The main positive quality of curcumin, manifested in its fight against heart diseases, is its ability to improve the functioning of the endothelium of blood vessels. Endothelial dysfunction is the main cause of heart disease and consists in the inability of the endothelium to regulate blood pressure, blood clotting and other factors. In several studies, it was suggested that curcumin improves the functioning of the endothelium. One study shows that curcumin is as effective as exercise. Curcumin, as noted above, reduces inflammation and oxidation. It is also beneficial for heart health. Curcuma and the more curcumin prevents many cancers. There are many different forms of cancer, but there is a lot in common between them. Researchers came to the conclusion that turmeric is useful in the treatment of cancer. It can hinder the growth of the disease, as well as its spread at the molecular level. Studies show that turmeric can reduce the growth of new blood vessels in tumors and metastases (spread of cancer). In addition, it promotes the death of cancer cells. Numerous studies have revealed that curcumin slows the growth of cancer cells and inhibits tumor growth in animals. Whether large doses of curcumin (combined with pepper) are able to help treat human cancers is not yet established. But there are some indications that curcumin can help prevent cancer. Mostly we are talking about cancer diseases of the digestive system (for example, colorectal cancer). During the study, 44 people with injuries in the colon, which can be converted into cancer, were taken for 4 grams of curcumin for 30 days. The amount of damage was reduced by 40%. Curcumin is one of the most controversial drugs for cancer treatment to date. On the one hand, it is difficult to talk about its anti-cancer properties with confidence. And on the other – it looks promising and attracts the attention of researchers. Alzheimer’s disease is one of the most widespread neurodegenerative diseases in the world and the main cause of dementia development. Unfortunately, there is no single effective way to treat Alzheimer’s disease today. Therefore, speech can go first and foremost about its prevention. It is known that inflammatory processes and oxidation play a certain role in the development of Alzheimer’s disease. And curcumin is both an anti-inflammatory and an antioxidant. In the course of Alzheimer’s disease, amyloid (starch) plaques are formed. 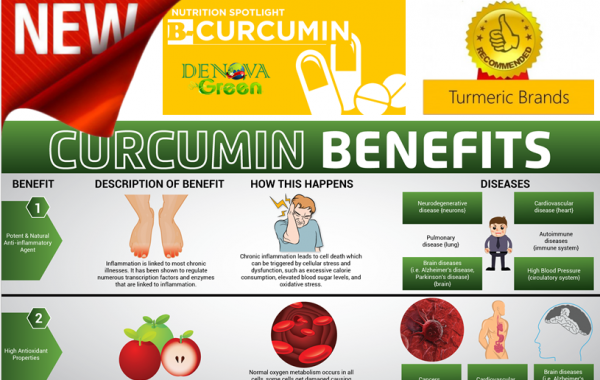 As it was established during the research, curcumin helps to cleanse these plaques. But these are only preliminary results. Properties of curcumin should be investigated to establish whether it can slow the course of Alzhemer’s disease or even reverse it. Arthritis (inflammation of the joints) is a very common disease. There are several different types of arthritis, but most of them are caused by a certain kind of inflammation in the connective tissues. Since, as noted above, curcumin has a powerful anti-inflammatory effect, it is reasonable to assume that it can help with arthritis. And research has confirmed this assumption. The study found that, for patients with rheumatoid arthritis, curcumin is even more effective than an anti-inflammatory drug. In other studies, the ability of curcumin to alleviate the symptoms of arthritis has also been discovered. During the study, 60 patients were divided into three groups. The first took Prozac, the second – curcumin, and the third – and Prozac, and curcumin. After 6 weeks, the patients receiving curcumin received almost the same improvements as those who took Prozac. The best result was found among those patients who took both Prozac and curcumin. Thus, during this small study, it was found that curcumin is effective as an antidepressant. Depression is also associated with a decrease in the level of the neurotropic factor of the brain and a reduction in the hypocampus, a region of the brain that affects memory and learning. Since curcumin increases the level of the neurotropic factor of the brain, it has the potential to reverse some of these changes. In addition, there are several signs of the ability of curcumin to raise the level of neurotransmitters of serotonin and dopamine. The predilection for mobile devices sometimes leads to mental disorders, and turmeric helps to soften the course of some of them. However, with virtual reality, and with enthusiasm for natural remedies for improving well-being, it is desirable not to lose sense of proportion. Because curcumin helps prevent heart disease, cancer and Alzheimer’s, it can be considered an anti-aging. It is believed that in the aging process, the oxidation and inflammation with which curcumin is fighting play a role. All of the above properties of curcumin are at the stage of study. And at the present time it is difficult to say how effective it is in combating various ailments. Therefore, the treatment of diseases is prescribed only by a doctor, and any information on the benefits of these or those natural components is purely reference and nothing more. Do not forget that even the most useful, at first glance, natural remedies can have side effects and cause allergic reactions.